It seems that the top thing in food blog post is photography, followed by easy instructions. This could easily be applied to DIY posts or step by step beauty posts! If its’s simple and using easy to obtain ingredients, then they’re more likely to try it out. Keeping it simple, local and fresh is key! It seems like if you were inspired by somebody else, always credit back to them, or mention they inspired you. Credit is so important, but feel free to definitely blog your take on their recipe. What a great chat! Thanks so much Rhi! 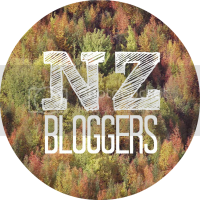 #NZbloggers chat runs every Sunday, 8pm – 9pm NZST. Previous article Christmas at The Cross: wellington’s december #brunchclub recap!